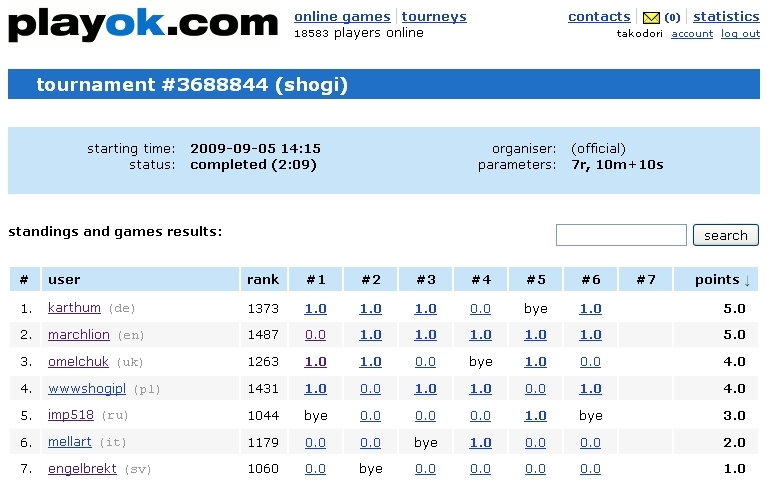 Karthum is the winner of the captioned on-line shogi tournament held on September 26, 2009. Here is the link to the result. 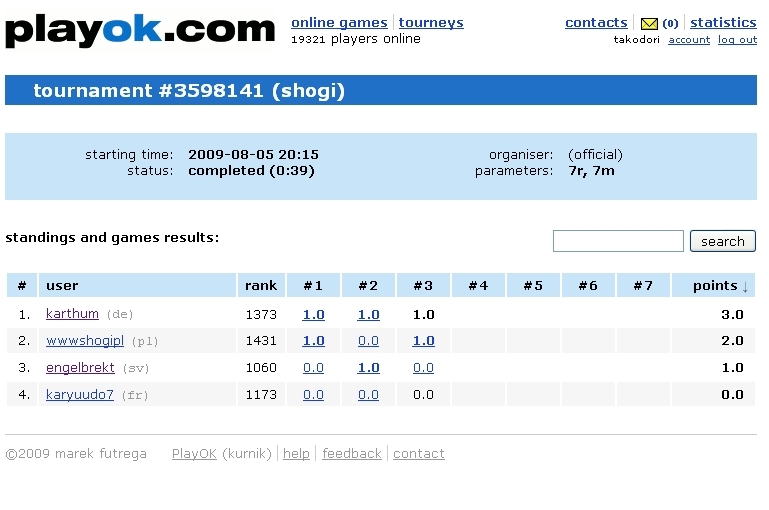 Oneye is the winner of the captioned on-line shogi tournament held on September 23, 2009. Here is the link to the result. 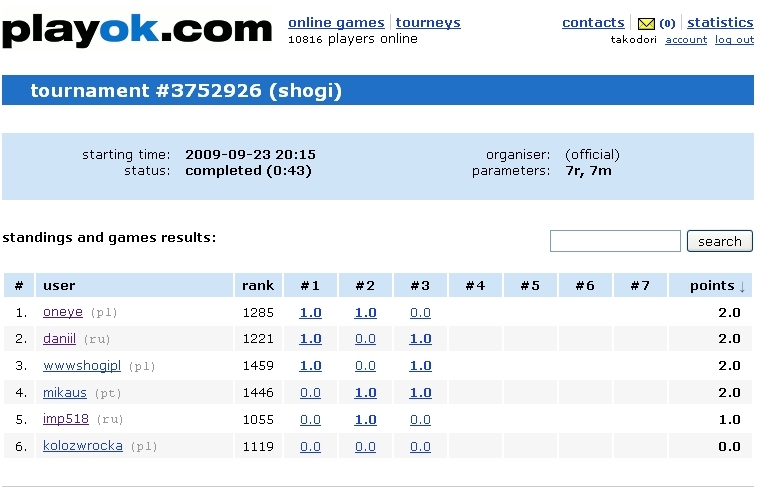 Wwwshogipl is the winner of the captioned on-line shogi tournament held on September 19, 2009. Here is the link to the result. 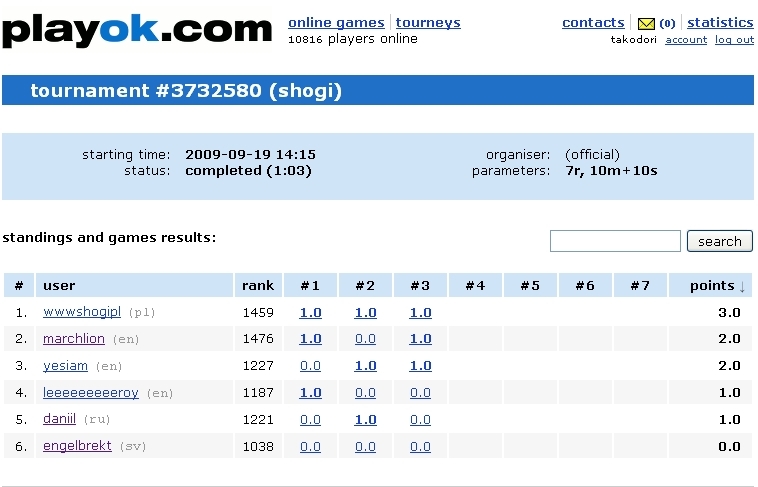 Tom2700is the winner of the captioned on-line shogi tournament held on September 12, 2009. Here is the link to the result. 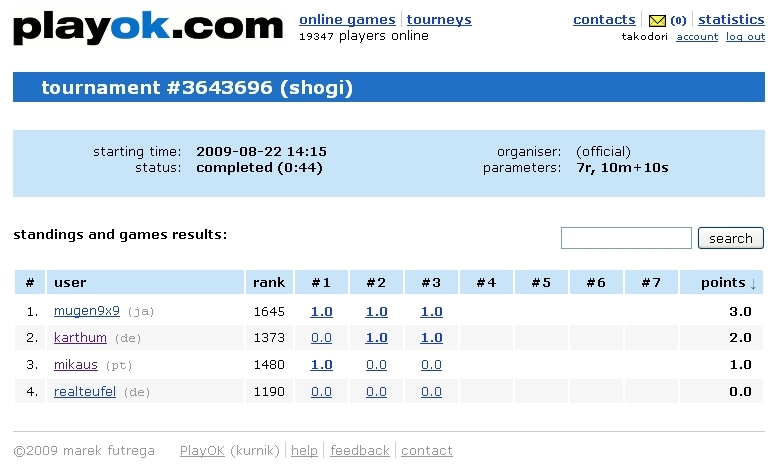 Karthum is the winner of the captioned on-line shogi tournament held on September 5, 2009. Here is the link to the result. 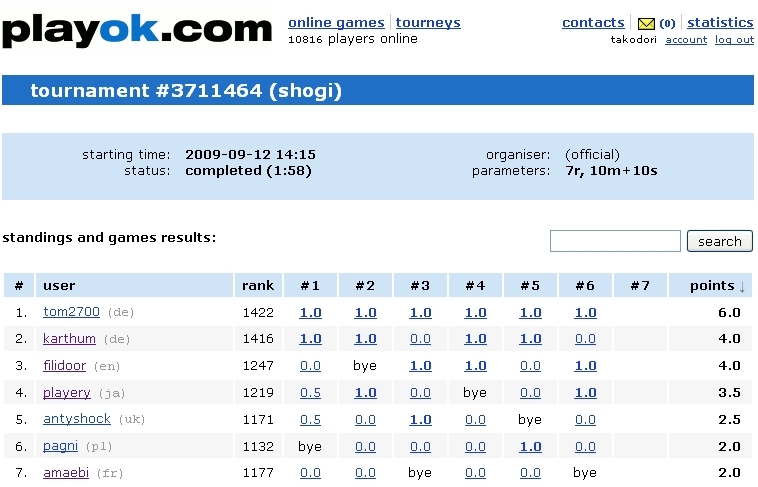 Mugen9x9 is the winner of the captioned on-line shogi tournament held on August 22, 2009. Here is the link to the result. 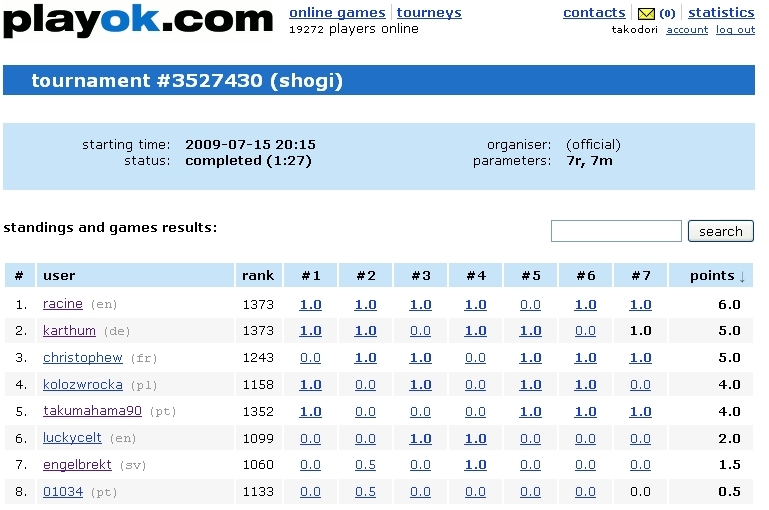 Karthum is the winner of the captioned on-line shogi tournament held on August 5, 2009. Here is the link to the result. 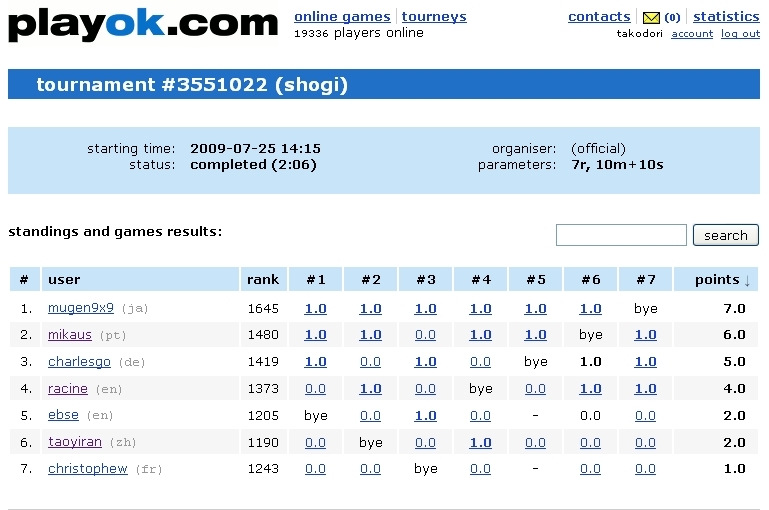 Mugen9x9 is the winner of the captioned on-line shogi tournament held on July 25, 2009. Here is the link to the result. 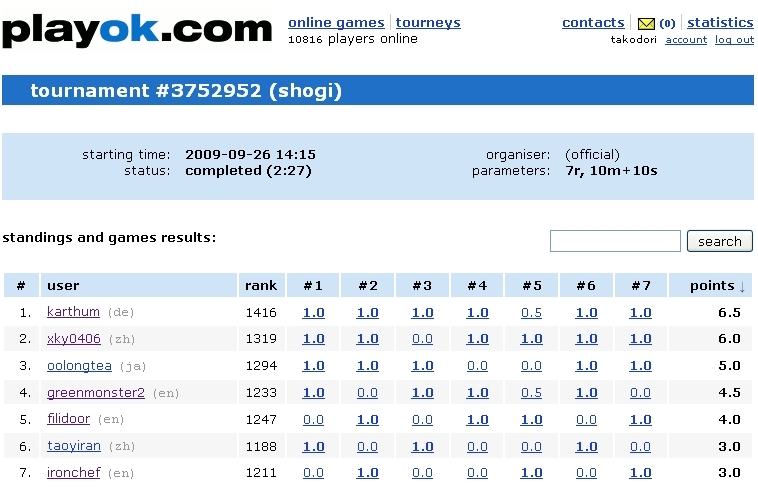 Racine is the winner of the captioned on-line shogi tournament held on July 15, 2009. Here is the link to the result. 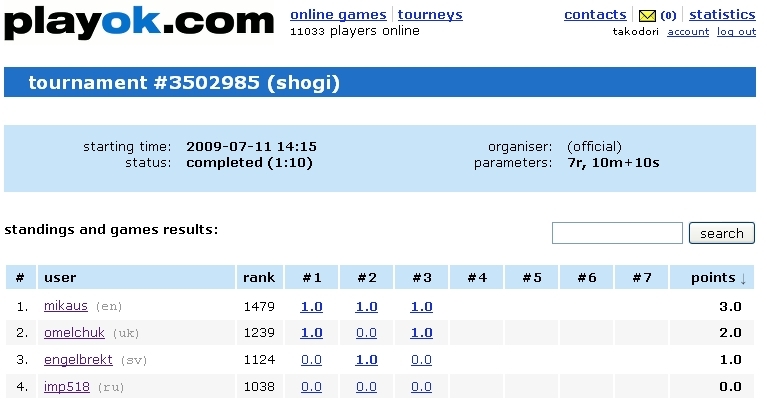 Mikaus is the winner of the captioned on-line shogi tournament held on July 11, 2009. Here is the link to the result.